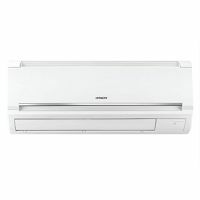 List of best 5 star 1 ton air conditioners by India's best most popular brands. 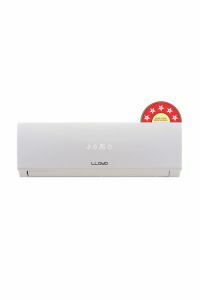 You can see list of our Inverter ACs - 5 Star 1 Ton below, perform Side-by-Side comparison. If you need further help, do have a look at Conzumr Guides and Tips. Alternatively you can view all Air Conditioner to choose your own favourites. Mitsubishi Electric's unwavering commitment to research and development is helping us create the next generation of groundbreaking technologies. Through our research centers around the world, we're taking on the challenges of technology to contribute to a better society in the future. Bring home clean air with Superia split AC with features like Triple Hybrid Filter (a combination of Cold Catalyst, Nano Platinum & Vitamin C filter) that trap dust, smoke, bacteria and other pollutants to give you a clean, odor-free home.This 1 tonne cooling capacity wall mounted split air conditioner has a rotary compressor and 1 indoor unit. It has electrostatic and Vitamin C filters and has the following features like air swing, auto restart, timer, dehumidification, sleep mode, fan mode. It has self diagnosis function and Anti-Rust cabinet. The noise levels are 39db and power consumption is 950 watts. Samsung’s Multi Jet Technology increases the heat exchange surface with multi channel flow, and with its new flat surface design, it reduces air resistance compared to conventional heat exchangers. Multi Jet Technology heat exchanger makes the outdoor unit smaller, which allows for easier transfer and convenient installation. To Recieve updates and possible rewards for Lloyd Sleekstar LS13A5SN please sign in. To Recieve updates and possible rewards for Air Conditioner please sign in.